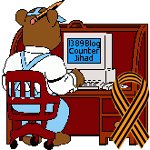 #Caturday, August 6, 2016: 360 Video and Fish Tank – Simon’s Cat — 1389 Blog - Counterjihad! Watch our brand new 360 degree video! Drag your mouse or tilt your phone to explore the room. Can you count how many times you can see a sneaky Simon’s Cat? Check out our NEW film FISH TANK, out this week! Please note this video has no sound! WHAT’S COMING UP? Look out for our new Simon’s Cat Logic episode – Feeding, coming soon!